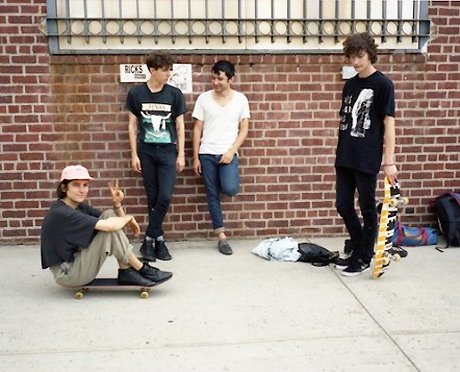 Save for their "Shallow" seven-inch single earlier this year, it's been a while since we heard any new material out of subdued Brooklyn sad pop troupe Beach Fossils. Fans of the band, however, could be in store for more, as they have just announced an upcoming West Coast tour. The seven-show trip starts in the Pacific Northwest at Seattle's Neumos on May 10, and will find Beach Fossils crossing over to Canada the next night for a gig at Vancouver's Electric Owl. From there, they'll head down the coast, capping the quick trip in San Diego. You can see the schedule down below. Despite "Shallow" and last year's What a Pleasure EP, Beach Fossils have yet to announce a proper follow-up to 2010's gauzy self-titled debut LP.